Constant growth and impulses for innovation are only possible in cooperation with reliable partners. BITKOM (Bundesverband Informationswirtschaft, Telekommunikation und neue Medien) forms a large, efficient network and unites the best minds and companies of the digital world. 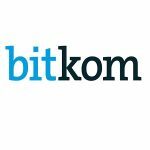 BITKOM organizes a permanent exchange between specialists and managers and provides its members with platforms for cooperation among themselves and for contact with important customers. With more than 2,200 companies in the digital economy, the members comprise a total of 700,000 employees and an annual domestic turnover of 140 billion euros and exports of another 50 billion euros. Its members include 1,000 SMEs, over 250 start-ups and almost all global players. They provide software, IT services, telecommunications or Internet services, produce hardware or consumer electronics, are active in the digital media or network industry or are otherwise part of the digital economy. The Landesnetzwerk Mechatronik BW state network Mechatronics BW has set itself the goal of actively supporting and networking companies, R&D facilities and other institutions. Innovations, projects and solutions are jointly developed and implemented. The viewpoint is to be seen on the side of industry. Selected and independent experts (innovation managers) are available. They each represent a subject area ranging from automation to energy efficiency. It is important to be able to cover the entire production chain in a wide variety of industries. 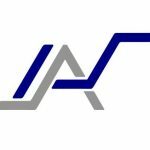 Services include patent and trademark law, benchmarking, marketing and third-party funding advice. CODE_n is a global innovation hub for digital pioneers, which was initiated in 2011 as a brand by GFT Technologies SE and their former CEO Ulrich Dietz. Since 2015 CODE_n has been a daughter company of the GFT Group. Since January 2018 the company name has changed to CODE_n GmbH. CODE_n organizes an annual competition for Start-up companies with business models based on digital technologies. What started at CeBIT has now been an established feature for four years and is designed as a trade fair and conference programme over several days, in which the winner of the competition is awarded and visitors, partners as well as exhibitors find access to topics of digital transformation. The other CODE_n elements such as Innovation Services, Spaces, and Events are intended to bring Start-ups and established companies together. Since 2017, TruPhysics GmbH, among many other start-ups, has been accommodated in the Spaces at Fasanenhof in Stuttgart. SOFA Consortium was founded by 4 Teams from INRIA, France (Institut national de recherche en infirmatique et en automatique). 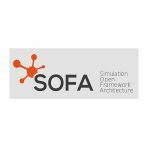 SOFA is an efficient and innovative simulation framework written in C++ and is dedicated to research in medical simulation but can also be used to develop new training medical technologies. The Institute for Automation Technology and Software Systems has almost 80 years of tradition at the University of Stuttgart. Surrounded by a creative environment in the heart of the industrial metropolis of Stuttgart, we see ourselves as a think tank, bridge builder and integration hub. The combination of automation technology and software technology distinguishes our institute in the university landscape. In close cooperation with the institute and intensive support of his Prof. Dr.-Ing. Weyrich (head of IAS), the vision of real-time physics was strongly promoted within the framework of an industrial project and subsequent Exist scholarship and Young Innovators programme. Startup Autobahn is an innovation platform that gives startups access to Silicon Valley’s technical know-how and the best German hardware expertise. The platform provides everything you need: space, equipment, people and financing. It is named after the German motorway, known worldwide as the only motorway without a speed limit. Inspired by the highway, Startup wants to accelerate highway ideas. In 2016 TruPhysics was allowed to participate in the event and introduce itself in the second round of the event.